Frank Hughes started at NASA the day the crates of simulators from Link arrived, with increasing responsible position within NASA for astronaut and flight controller training from Apollo Program through the International Space Station. 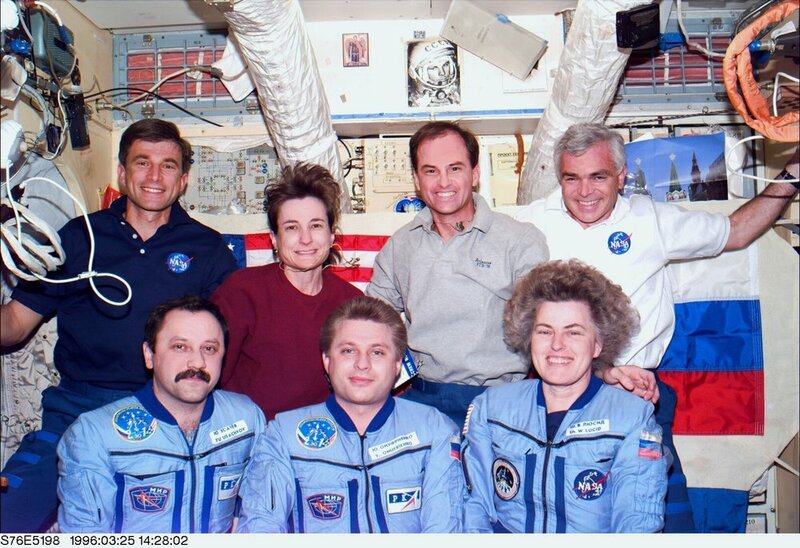 He headed all of the training organizations at NASA from 1989-99, as well as headed a multilateral International Training Control Board to develop training in all of the participating countries connected with the International Space Station (16 countries and 11 languages). After NASA, he chaired the Board of the National Honor Society in 2000. Since 2001, he has developed serious games to teach math and science from K through 20 at Tietronix, Software, Houston, TX. Frank Hughes joined the Center of Technology & Innovation's Board of Directors in 2019. Mark your calendars for the 2019 Binghamton Bridge Pedal . At 9 AM, the traditional, leisurely family-friendly 10 mile escorted ride departs TechWorks! at 321 Water Street, returning about 11 AM for the Post Pedal Party featuring tasty local treats and free bicycle helmets for cyclists 18 and under. This year we’re adding a faster, longer route for more serious cyclists, departing at 8 AM. Stay tuned for details. 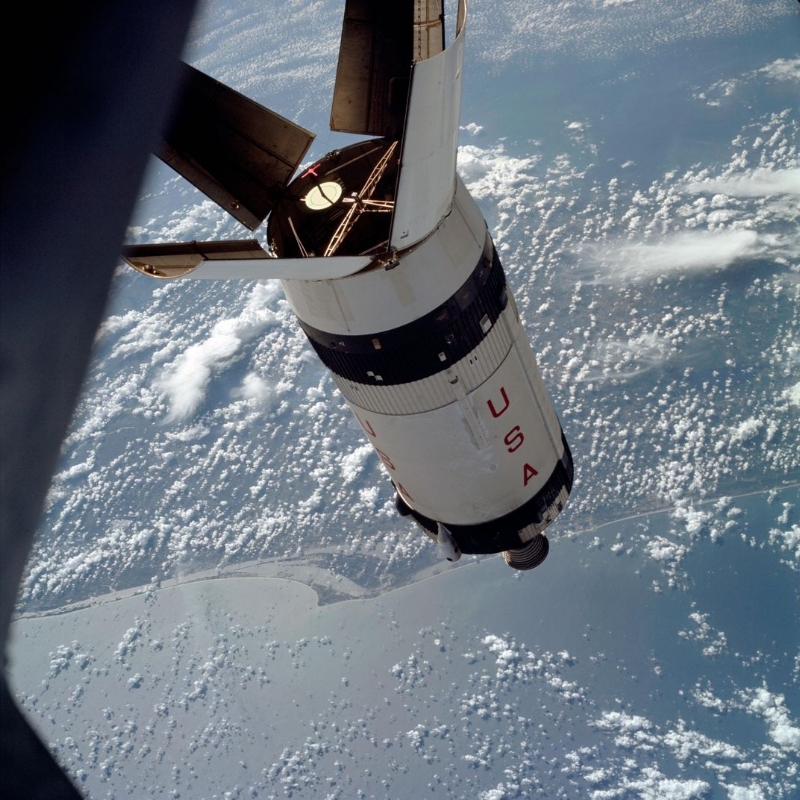 Apollo VII was the first mission powered by the Saturn V rocket - with avionics by IBM Owego and Huntsville labs - and phase separation actuators from Simmonds Precision in Norwich, NY. GAF’s Anscochrome film was part of the astronauts’ tools to photograph the the first views of the far side of the moon by humans. In the 1970s, IBM Owego developed the 4PI computers for NASA’s Space Shuttles that flew from 1981 - 2011. Today, Lockheed Martin Owego supports NASA’s Orion spacecraft - being built to take humans farther than they’ve ever gone before. Orion will serve as the exploration vehicle that will carry the crew to space, provide emergency abort capability, sustain the crew during the space travel, and provide safe re-entry from deep space return velocities. 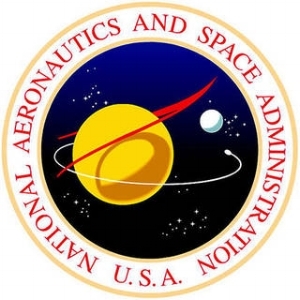 View five decades of NASA film footage, talk with folks who work for NASA, and check out galleries of space memorabilia with an Owego focus, and decorate gingerbread Saturn instrument rings. Use Apollo-era computers at the Vintage IBM Computing Center. to create greetings in your own words on punch cards, banner prints, and in braille. 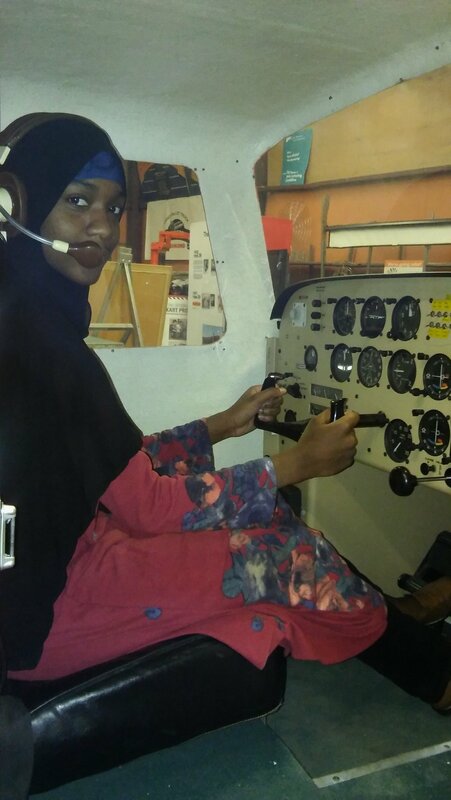 Fly a Link flight trainer at TechWorks! 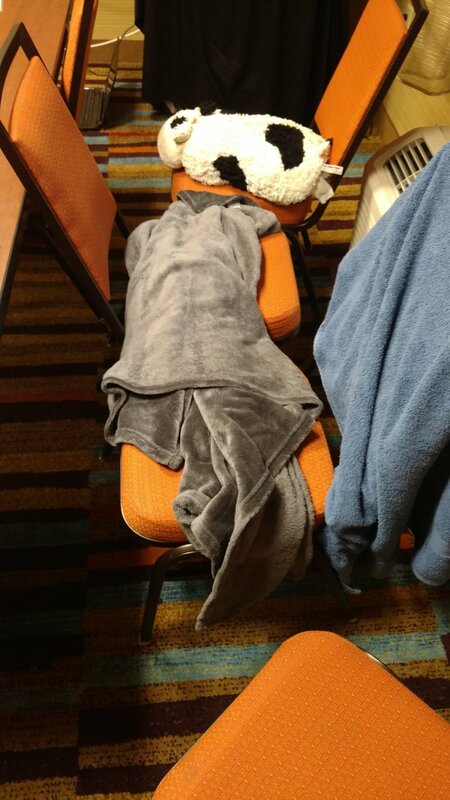 simulation workshop. Fun for the whole family - youngsters - please bring an adult with you! $5 admission, includes seasonal beverages, souvenirs, all activities. 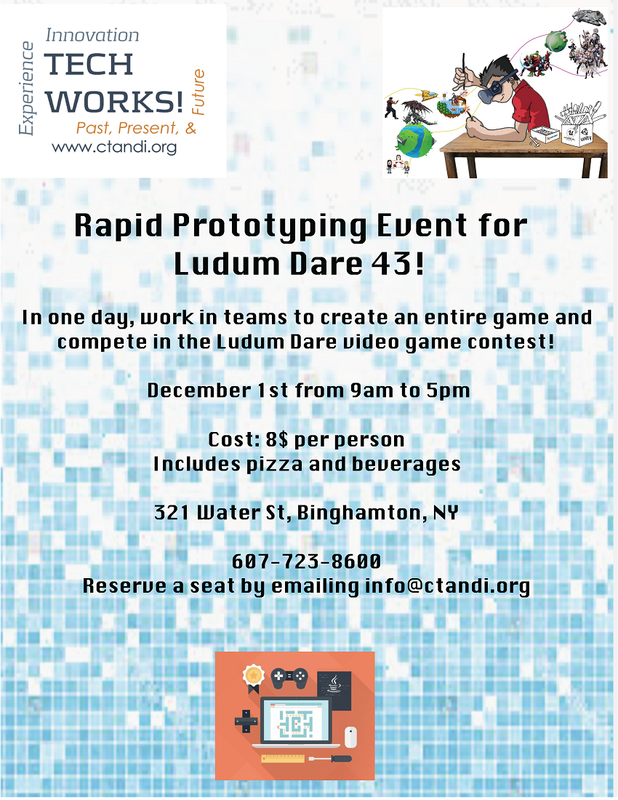 Join in the fun of a team-based Rapid Prototyping for video game creation. Folks of all ages and skill levels are welcome. It takes all kinds to create a great game with a challenging story line - artists, multi-media folks, coders, writers - and more. Click here to reserve your seat at the TechWorks! 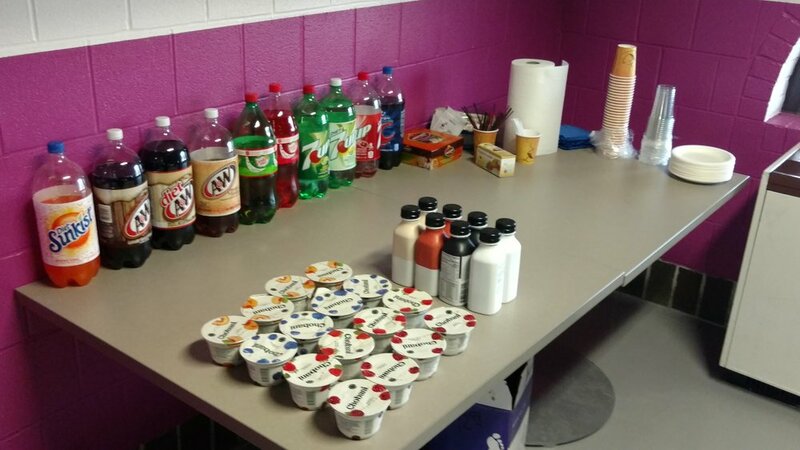 Game Developer Lab $8. Calling teens and adults who want to create video games. Learn Unity, a free software for coding in 2D and 3D. Get the skills you need for Game Jams and high tech jobs in the simulation and engineering industries. 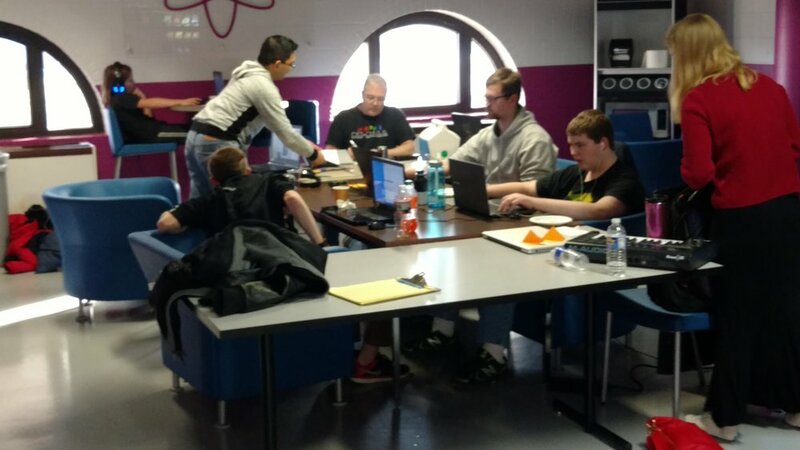 All sessions include pizza, beverages, and teamwork. Join us at TechWorks! for the first in a series of 50th anniversary events celebrating Southern Tier technology that helped NASA win the Space Race. The series kicks off with three screens showing vintage Cartoons, Sci-Fi and NASA footage, including The Flight of Apollo 7 –NASA’s First Manned Project Apollo Space Flight. During intermission, create souvenir printouts with Apollo-era computers and visit the Anscochome in Space exhibit. Launched from Cape Kennedy October 11, 1968, Apollo VII had simply stated missions: demonstrate the capability of spacecraft, support facilities, and their crews to launch, fly, rendezvous, and return safely. Above is a view of the “angry alligator” of the ejected Saturn rocket, which was used to emulate docking with the Lunar Excursion Module (LEM). Family friendly, leisurely nine mile police-escorted bike ride, or a four mile Junior Ride option. Ride along the rivers, over landmark bridges and through downtown Binghamton, stopping to rest at points of interest with expert guides along the way. Admission: $11 for adults, FREE for youth 18 and under. Includes bike ride, t-shirt, and After Pedal Party - featuring local foods and a tour of TechWorks! and FREE helmets for riders youth 18 and under, distributed at the After Pedal Party. 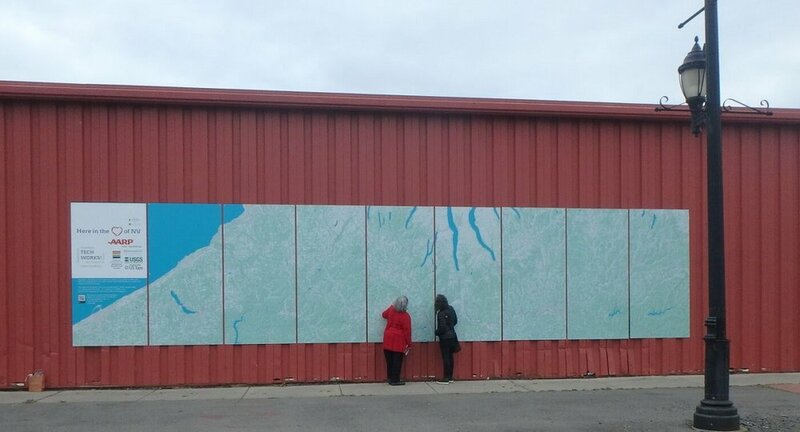 The Binghamton Historical Soundwalk Project uses sound to showcase Binghamton's history and inspire year-round residents and students alike. The First Friday Soundwalk departs TechWorks! every 30 minutes, returning for Resonant Technologies audio art installation and a reception. Tickets - $5 each, T Shirts $10 each. Please add each item to cart before checking out. Or purchase a T shirt on line and ticket at the door. 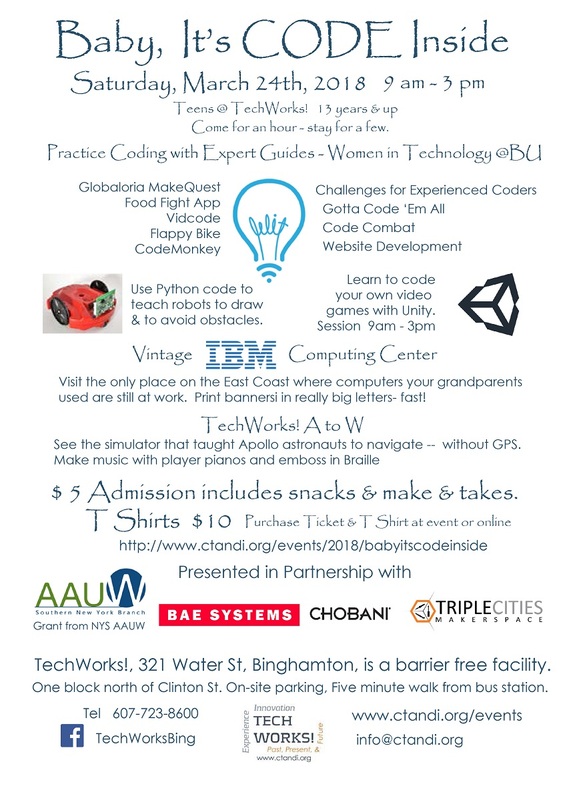 An all-day coding event for teens of all skill levels, guided by Women in Technology @ Binghamton University and veteran computer professionals. Stop by for an hour or spend the day. Try your first coding project from Hour of Code or learn to control Scribbler robots using Python, a coding tool used in many industries. Visit the Vintage IBM Computing Center to create custom banner printouts with Apollo-era machines, as seen in the movie, Hidden Figures. OR - spend the day learning to Code Your Own Video Game with Unity software. Snacks included in $5 ticket. 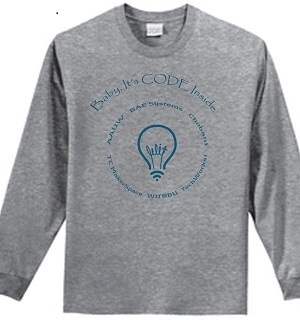 Get a terrific, long-sleeve, 100% cotton T shirts for an additional $10. Order in advance to be sure we have your size when you arrive. Hour of Code & Python with robots sessions start on the hour, every hour. Code Your Own Video Game 9am - 3 pm Drop in anytime for Make & Takes -- Braille, Giant Paper Clips, & custom banner prints at Vintage IBM Computing Center. 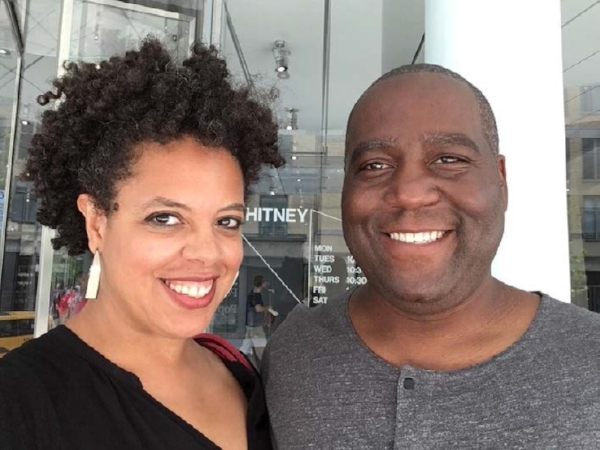 Mendi + Keith Obadike will discuss recent art projects ranging from site specific installation to data sonification. Mendi + Keith Obadike make art, music, and literature. They have exhibited and performed at The New Museum, The Studio Museum in Harlem, The Whitney Museum of American Art, The Metropolitan Museum of Art, and The Museum of Modern Art. Their projects include a series of large-scale public sound art works: “Blues Speaker (for James Baldwin)” at The New School (commissioned by the Vera List Center for Art and Politics with Harlem Stage), “Free/Phase” at the Chicago Cultural Center and Rebuild Foundation, and “Compass Song” (commissioned by Times Square Arts). Their recent gallery exhibitions include Numbers Station [Furtive Movements] at RYAN LEE Gallery, and the group show Electronic Superhighway (2016-1966) at The Whitechapel Gallery, London. 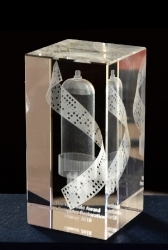 Their honors include a Rockefeller New Media Arts Fellowship, Pick Laudati Award for Digital Art, a New York Foundation for the Arts Fellowship in Fiction and the Louis Comfort Tiffany Biennial Award. Bios: Keith received a BA in Art from North Carolina Central University and an MFA in Sound Design from Yale University. He is an associate professor in the Communication Department at William Paterson University and a digital media editor at the journal Obsidian. Mendi received a BA in English from Spelman College and a PhD in Literature from Duke University. She is an associate professor in the Department of Humanities and Media Studies at Pratt Institute and a poetry editor at Fence Magazine. They both serve as art advisors to the Times Square Alliance and the Vera List Center for Art and Politics. Sponsored by The Binghamton Historical Soundwalk Project, TechWorks!, the Cinema Department at Binghamton University, the Binghamton University English Department, and the BU Visual & Material Cultures TAE. Get ready for Monday night’s final sledding event of the 2018 Olympics. 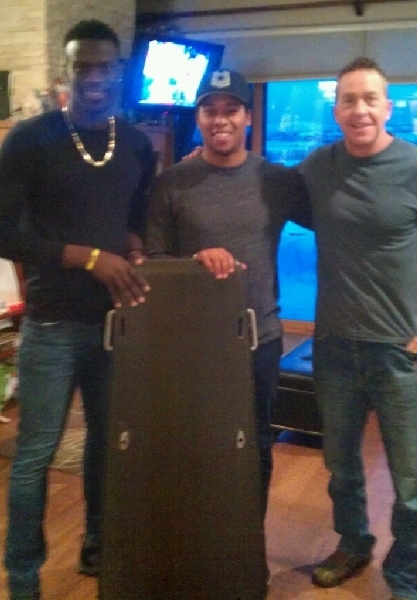 Check out a Skeleton Sled raced by the Jamaican Bobsled Team (no joke). You can wiggle in and try to steer in a dry run (no ice). View sledding videos, incudling Randy Will on sled design & racing strategy. Pick lottery number with 1980s Atari, Punch and sort IBM cards. Highlights of the Dodge Camera Collection. 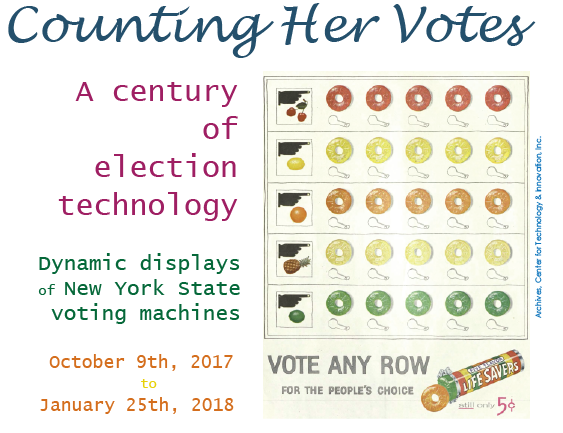 machine -Counting Your Votes exhibit closes Feb 24th. Admission $5/person, includes seasonal snacks. Warm clothing recommended. Gold medalist and co-founder of Legacy Sleds, Jimmy Shea with Skeleton sled and Jamaican sledders who raced the sled in the TechWorks! collection. Experience it yourself! Eric Ross and his Avant Garde Ensemble return for their third TechWorks! engagement. Eric Ross,composer and Theremin Master, also performs on guitar, keyboard, and synthesizers. Eric has performed his original electro-acoustic avante garde compositions around the world, including at the Kennedy Center, the Guggenheim Museum in Bilbao, and jazz festivals in Newport, Berlin, Montreux (Switzerland) and North Sea (Rotterdam). Eric is a favorite artist at Binghamton blues and jazz festivals. Learn to code your own video games with Unity software. 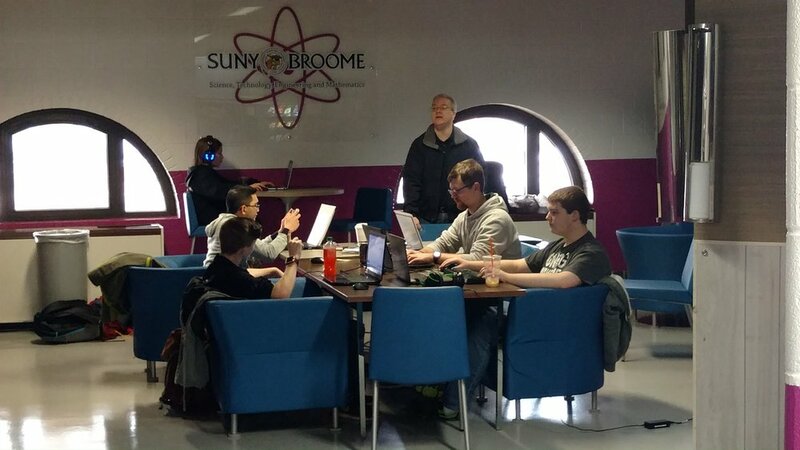 Taught by simulation software professional and coached by Binghamton University computer science students, Work in pairs with hardware and software provided at the site. 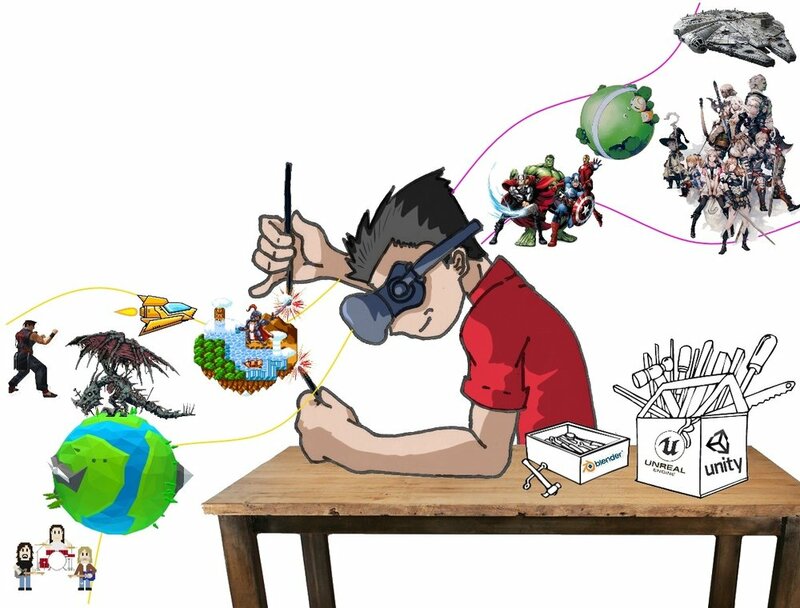 Bring your ideas for a cool game and learn to make it real. 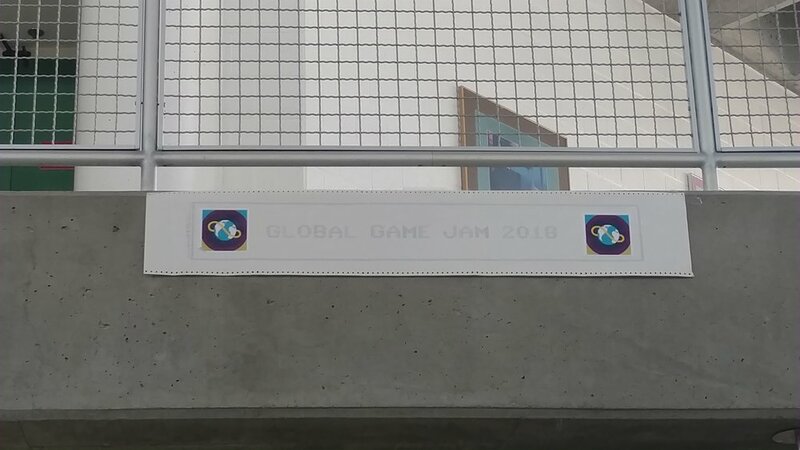 This workshop is a great way to start building skills for the Global Game Jam 2018 - co-hosted by TechWorks! at SUNY Broome. Pilot a Link flight trainer, Punch and sort IBM cards, Play a Link Nickelodeon, Emboss in Braille, Bend giant paperclips, Watch an IBM Blood Cell Processor in action, Select lottery numbers with a 1980s Atari system, Vote with 1920s lever machines and 1960s Votomatic technology (create hanging chads as in 2000 Presidential election in Florida), Watch Universal Instruments VCD machine populate printed circuits, and Create souvenir banners on IBM S/360 printer. 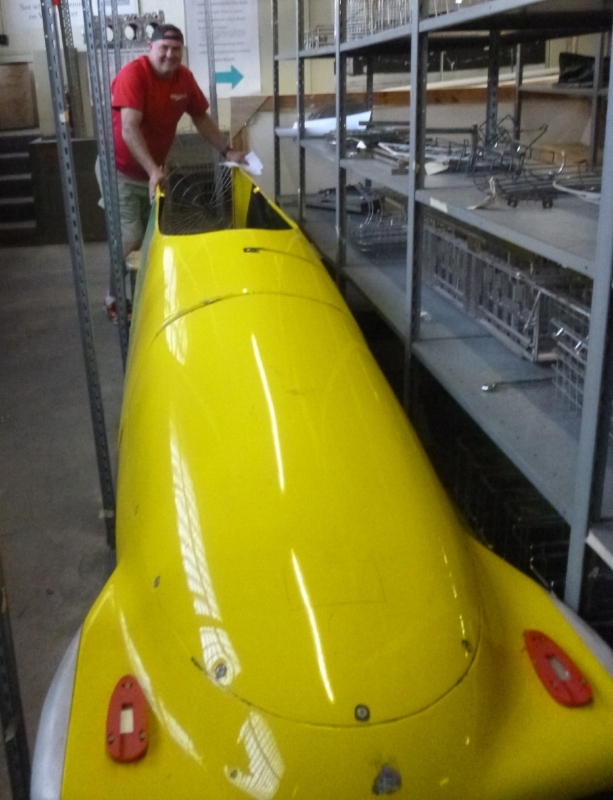 Check out new devices - 2017 skeleton sled built by Randy Will and raced by Jamaican Olympic team, 1980s IBM Check Sorter with Magnetic Ink Character Recognition, 1960s Underwater Scooter (aka Swimmer Delivery Vehicle) designed by Ed Link, and Highlights of the Wilbur Dodge Collection of Ansco Cameras. Seasonal refreshments, techno souvenirs, music, and fun for all. Young children are welcome when accompanied by adults at all times. The flood of votes by women created a need. Introduced in the 1890s, lever voting machines became commercially viable when women's suffrage became the law of the land. In the 1960s, IBM Endicott's punch card technology was adapted to record and tabulate votes, a system that continued in use until the early 21st century in many states, including Florida. In the digital age of today, New Yorkers vote with Optical Scan Tabulators. Try all of three of these technologies at TechWorks! from Oct 9th, 2017 - Jan 25th, 2018. Presented in collaboration with the Broome County Board of Elections as part of the NYS Paths Through History Weekend, Oct 2017. Curated by Karl Bernhardsen and Justin MacGregor, Broome County Board of Elections, AAUW - Southern Tier Chapter, and Emily Sainz, Binghamton University, Class of 2018. At TechWorks! Vintage IBM Computing Center, the only site on the East Coast to see historic IBM machines in action, check out an IBM 1401 system (1959), the data tabulating machines used by the VOTOMATIC card voting system (2nd photo from left, below). 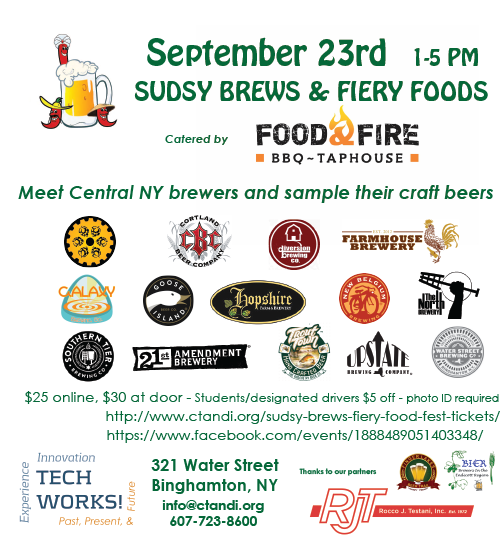 Meet Central NY brewers & sample their craft beers. 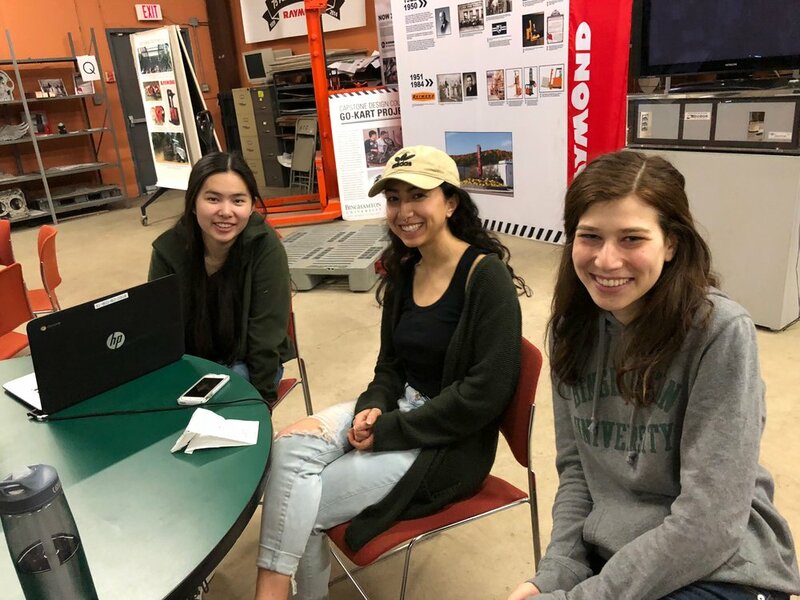 Code to your heart's content with a little help from Women in Technology@BU and the Vintage IBM Computing Center team. Try your hand at code.org activities for all ages, teach a robot to avoid obstacles (like a self-driving car), and watch 50 year old IBM computers punch and sort cards and print on green-bar paper, just like you saw in the movieHidden Figures. Take a break to play an antique Link Nickelodeon and walk inside a giant camera to checkout what's happening outside TechWorks! Best for ages 13- 18. Parents must sign permission slips at the door for children 12 and under. Conveniently located 5 minute walk from BC Connection bus station, one block north of Clinton Street Bridge. Plenty of parking. Savor craft beer from dozens of Upstate NY breweries and spicy food from local eateries, served by knowledgable home brewers from around town. Play a nickelodeon, step inside a giant camera, see the Apollo Lunar Module Simulator, Olympic bob sled, and other products of Upstate ingenuity. Come down to TechWorks! 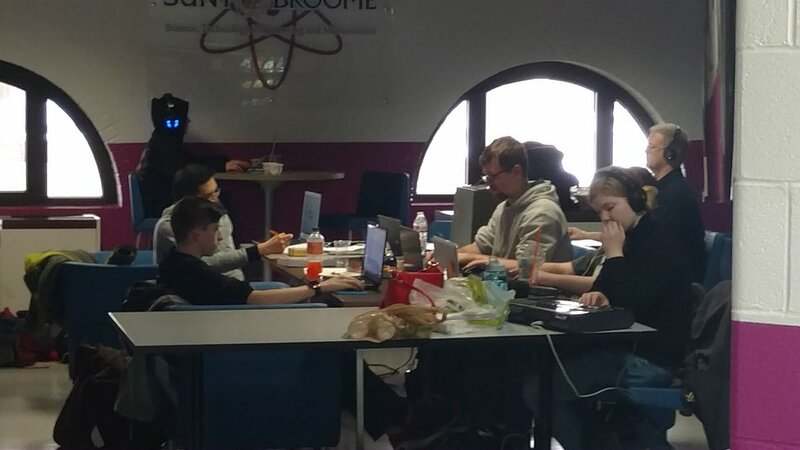 located at 321 Water St. Binghamton, NY to learn hands-on how to code. The Binghamton Bridge Pedal is a 9 mile leisurely ride that starts and ends at TechWorks!, 321 Water Street, in downtown Binghamton. Pedal alongside the Susquehanna and Chenango Rivers, and throughout the city, crossing several landmark bridges. There will be several stops at local parks, as well as significant historic and cultural sites along the way. $5 admission includes Technology in action at the Vintage IBM Computing Center - Punch and sort cards; Send Telegraph messages with vintage railroad equipment; Play music on a player piano and Link Nickelodeon, Emboss in Braille, Bend a giant paperclip, Step inside a Giant Walk-In Pinhole camera, and Enjoy ice cream from Inside Scoop.